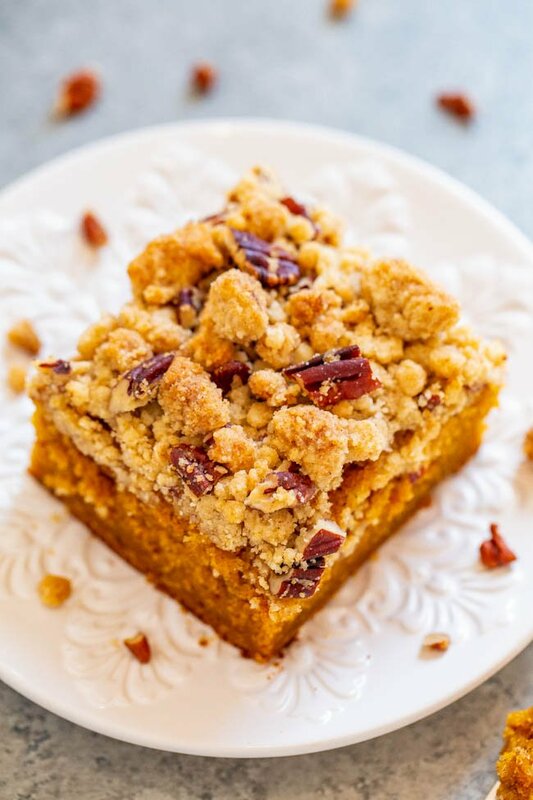 Pumpkin Crumb Coffee Cake – A FAST and EASY no-mixer coffee cake with rich pumpkin flavor!! 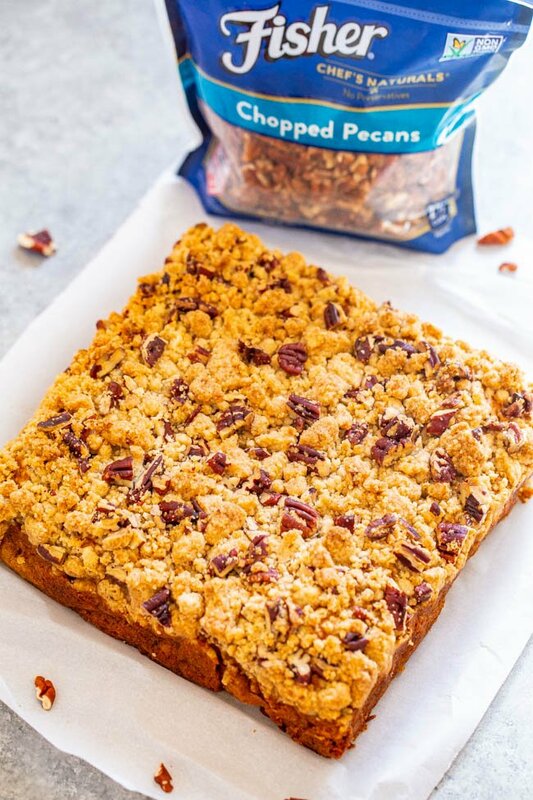 Super soft, tender, and topped with the BEST crumble topping that you’ll fall in love with! Great for brunches and holiday entertaining!! This cake makes me want to curl up on the couch with a cup of coffee, a blanket, a big ‘ole piece of cake, and savor every cozy moment. This is such a fast and easy recipe and you don’t even have to use a mixer. I used oil rather than butter so there’s nothing to cream which I love. If you’re in need of a quick and easy recipe that tastes like a million bucks, save this one. 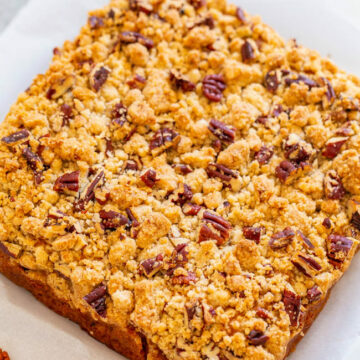 The cake itself is incredibly soft, tender, and moist while the crumb topping adds the perfect amount of delicate crunchy texture. Those big buttery crumbles are the best. The cake and the crumb topping are the perfect contrast and since I have a thing for crumble topping period, this cake was right up my alley. It was still warm when I dug into my first piece on a Saturday morning. Just perfect. 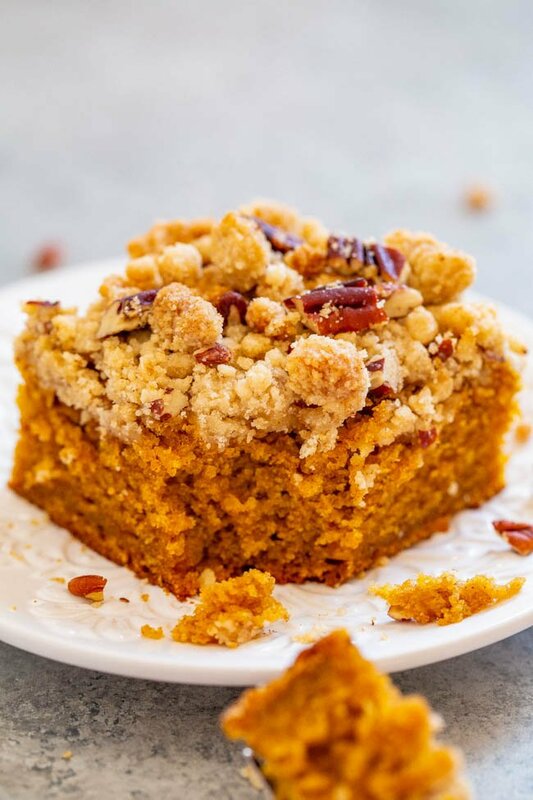 Oil keeps the cake moister, softer, and springier than butter does and since pumpkin puree naturally keeps everything moist, there’s no chance of a dry coffee cake here. The cake isn’t overly sweet making it a perfect for mornings with a cup of coffee or tea, for a brunch you’re hosting, as a little afternoon snack, or after a holiday entertaining dinner when you want a little something sweet but don’t want to go overboard. What I also love about this cake is that even 5 days later, I had extra pieces wrapped in plastic wrap, which normally makes crumb topping very soggy and soft, but not here. Crumbly perfection even days later. I used Fisher Chopped Pecans to make the crumb topping. As the nuts bake, they perfume the cake with a rich, toasted nuttiness that adds such a great flavor dimension. Fisher recipe nuts are a wonderful way to add flavor and texture to any dish without adding preservatives or salt. 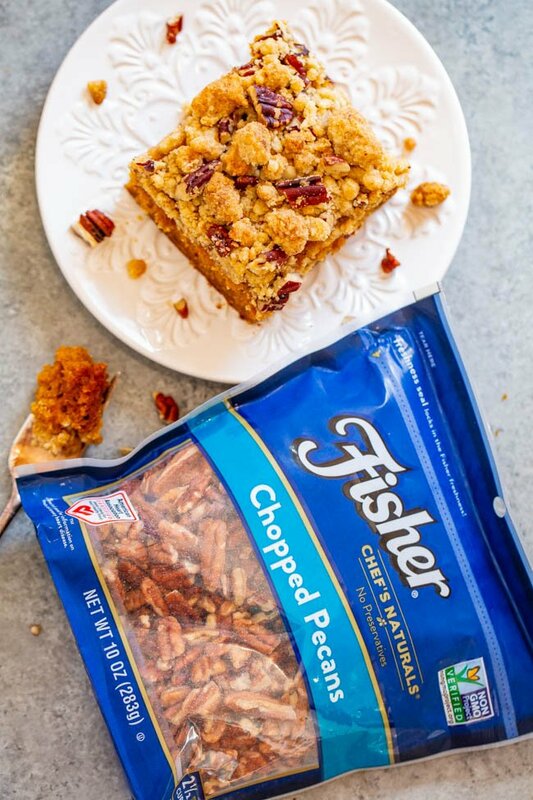 All Fisher recipe nuts are non-GMO Project Verified. Look for their stand-up resealable bag and enjoy the taste of these high-quality pecans. I’ve been working with Fisher Nuts for years. Check out this Sweet Potato Casserole with Butter Pecan Topping and these Sea Salt Browned Butter Chocolate Chip Pecan Cookies that I’ve made using their pecans. What I also love about this crumb topping is that even 5 days later, I had extra pieces wrapped in plastic wrap, which normally makes crumb topping very soggy and soft, but not here. Crumbly perfection even days later. Here’s a video that shows you exactly how I make the cake. 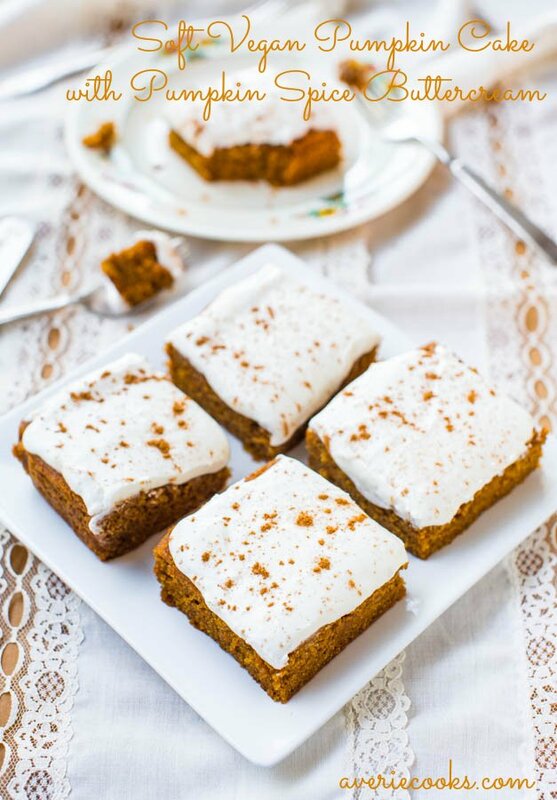 Easy Pumpkin Spice Cake with Cream Cheese Frosting – Soft, moist, and bursting with pumpkin flavor! You’ll want the frosting by the spoonful! 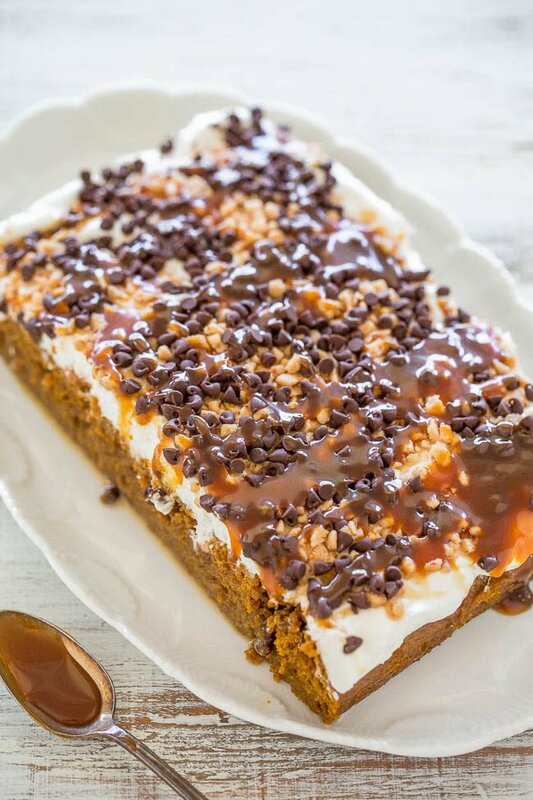 Pumpkin Caramel Poke Cake – Easy and there are two kinds of caramel sauce, toffee bits, chocolate chips, whipped topping and more! A total winner you must make! 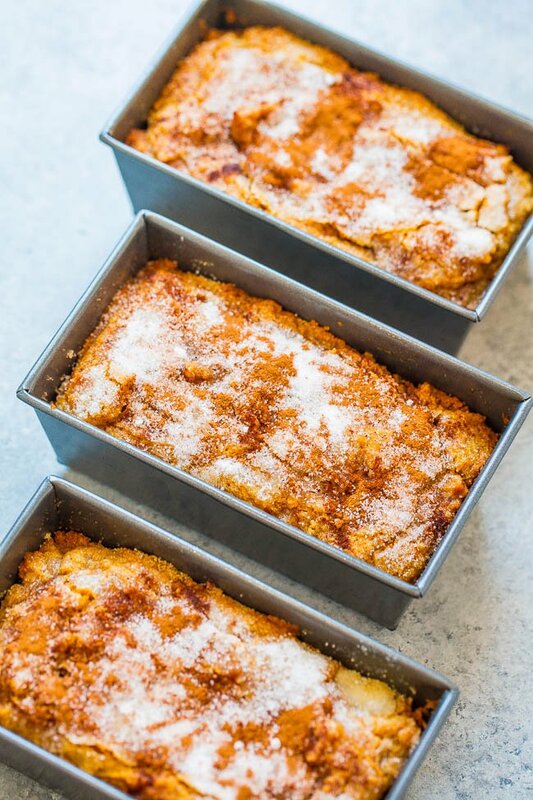 Cinnamon Sugar Pumpkin Bread – Super soft, tender, moist pumpkin bread with a slightly crunchy cinnamon sugar topping!! The mini loaves are easy, brimming will fall flavors, totally irresistible, and accidentally vegan! 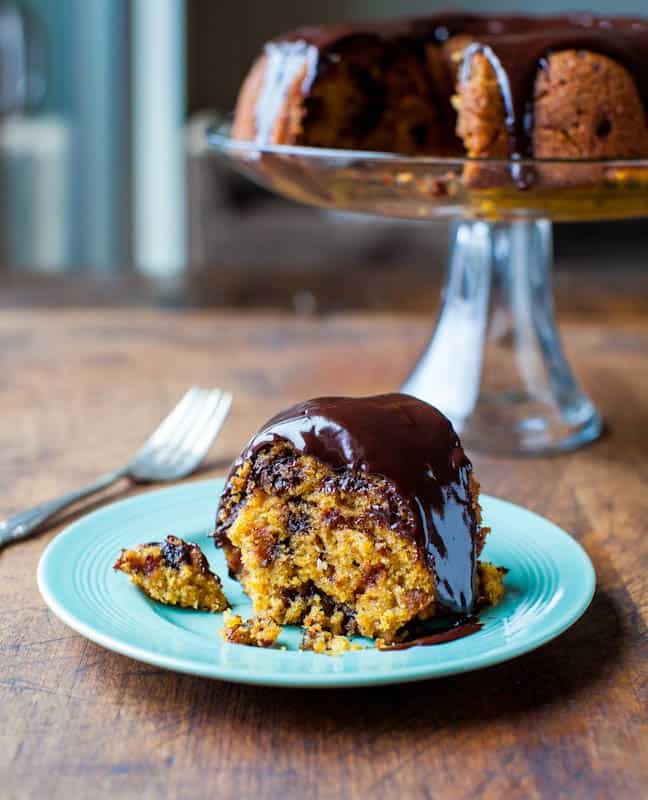 Pumpkin Chocolate Chip Bundt Cake with Chocolate Ganache – One of my favorite cakes of all time! A must-make! Cake – Preheat oven to 350F. Line an 8×8-inch pan with aluminum foil for easier cleanup and spray with cooking spray; set aside. To a large bowl, add the eggs, sugar, pumpkin, oil, pumpkin pie spice, vanilla, and whisk to combine. Add the flour, baking powder, baking soda, salt, and stir until just combined, don’t overmix. Turn batter out into prepared pan, smoothing the top lightly with a spatula; set aside. Crumb Topping – To a medium bowl, add the flour, sugars, salt, and stir with fork to combine. Drizzle in the melted butter and mix and fluff with a fork to combine until small pebbles form. Add the pecans and mix with the fork to combine. Evenly sprinkle the crumb topping over the cake and bake for about 46 to 51 minutes (I baked 49 minutes) or until the center is set and a toothpick inserted in the center comes out clean or with a few moist crumbs, but no batter. Set cake aside on a cooling rack to cool before serving. Cake will keep airtight at room temp for up to 5 days. 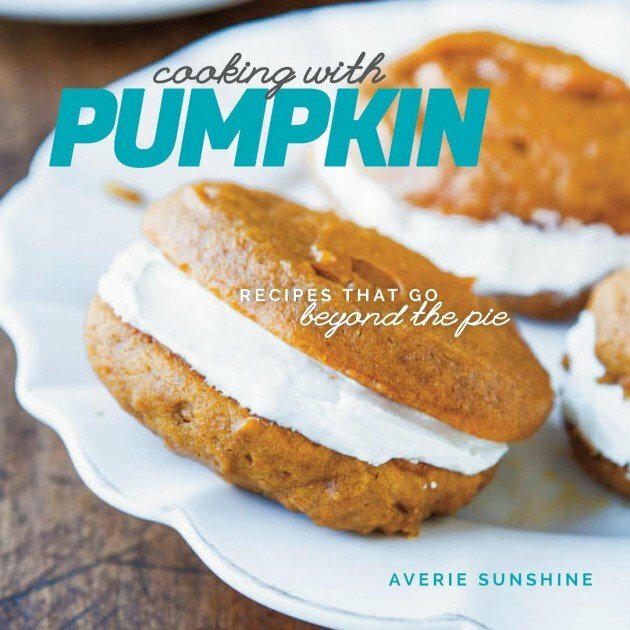 Cooking With Pumpkin: Recipes That Go Beyond the Pie is my second cookbook and was released October, 2014.. There’s over 50 pumpkin recipes including sweets, savory, drinks, and a photo for nearly every recipe. I’d be super grateful if you headed over to Amazon. 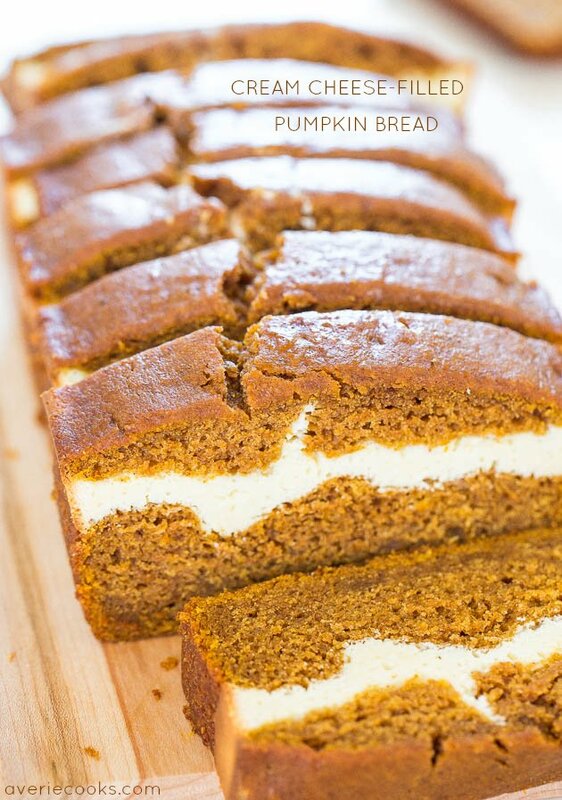 Cinnamon Sugar Pumpkin Bread – Super soft, tender, moist pumpkin bread with a slightly crunchy cinnamon sugar topping!! The mini loaves are EASY, brimming will fall flavors, totally IRRESISTIBLE, and accidentally vegan!! 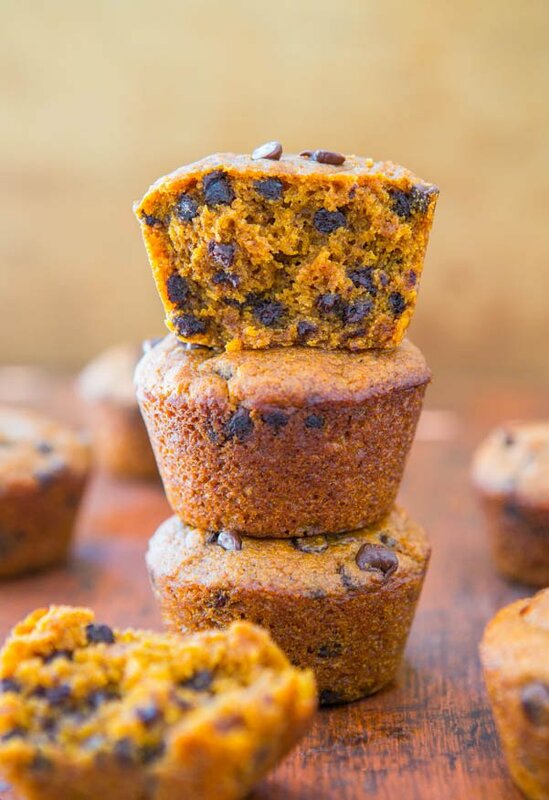 Mini Chocolate Chip Pumpkin Bread – Super soft, tender, moist pumpkin bread that’s loaded with chocolate chips!! The mini loaves are EASY, brimming will fall flavors, totally IRRESISTIBLE, and accidentally vegan!! 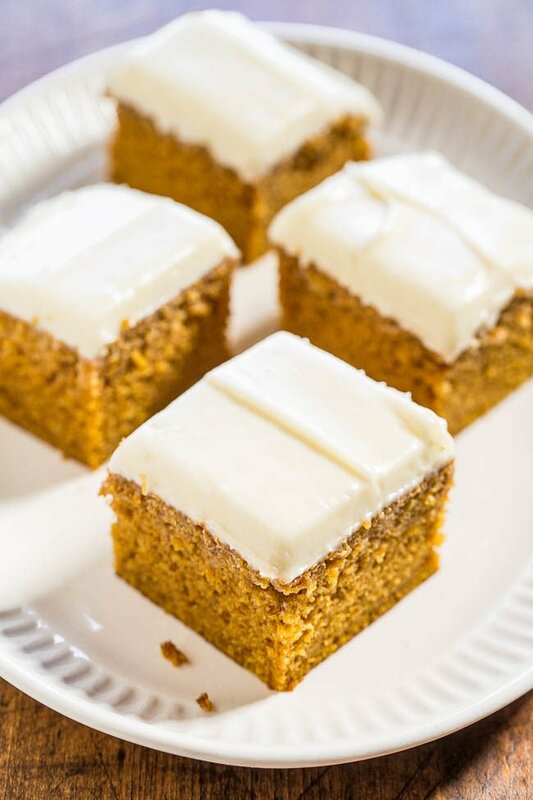 Soft Vegan Pumpkin Cake with Pumpkin Spice Buttercream Frosting – Fast, easy cake you’ll never guess is vegan! 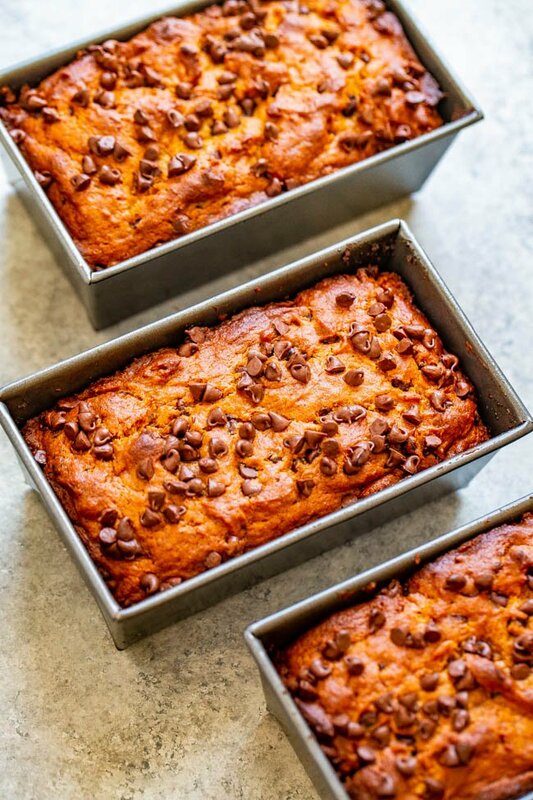 Pumpkin Caramel Poke Cake – Easy and the BEST PUMPKIN CAKE ever!! Two kinds of CARAMEL sauce, TOFFEE bits, CHOCOLATE CHIPS, whipped topping and more!! A total WINNER you must make!! 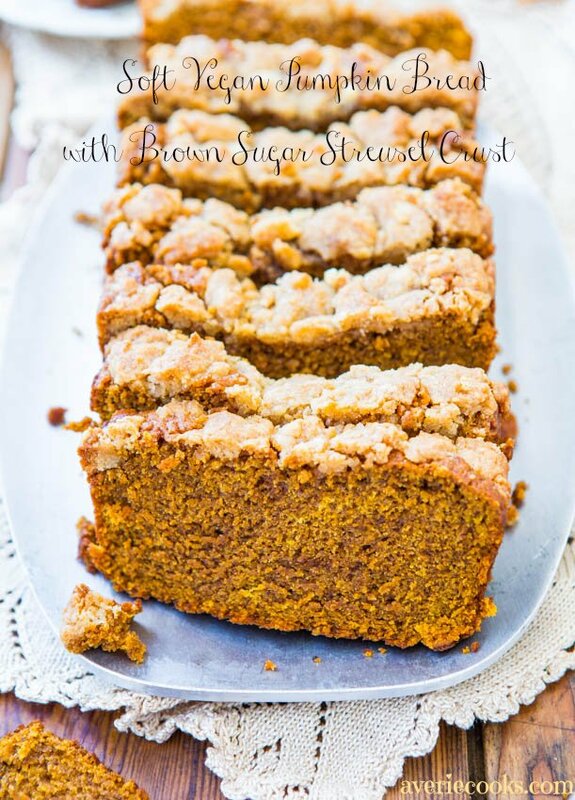 Soft Vegan Pumpkin Bread with Brown Sugar Streusel Crust – You won’t miss the eggs or the butter in this fast and easy bread with a great streusel crust! 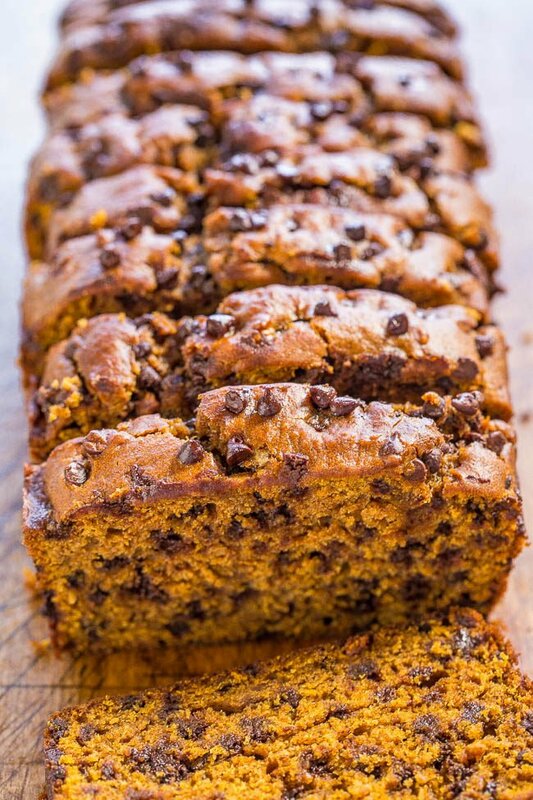 Pumpkin Chocolate Chip Bread – Super soft, moist, rich pumpkin flavor, and loaded with chocolate chips! Easy, no mixer recipe that’s the best! 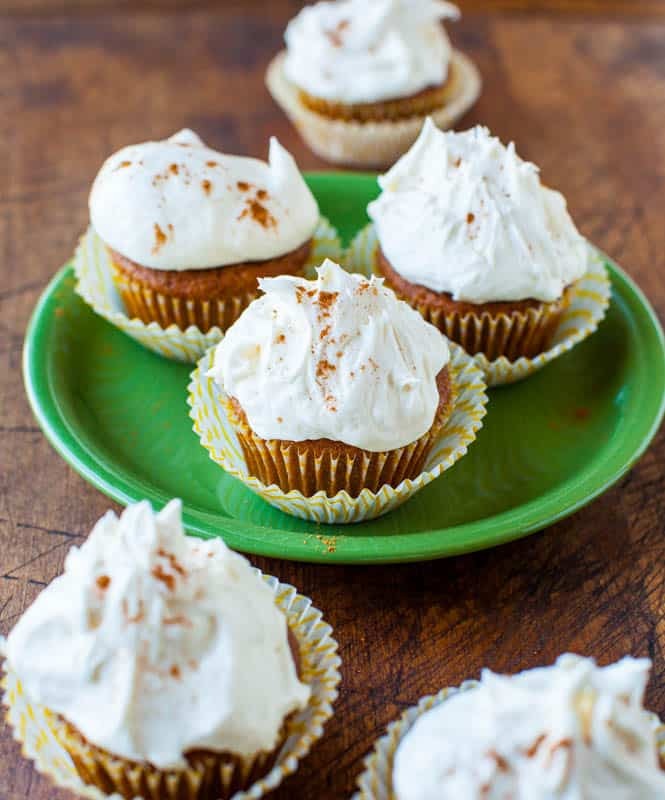 Pumpkin Spice Cupcakes with Marshmallow Buttercream Frosting – Small batch recipe of just 6 cupcakes when you have just a little leftover pumpkin puree to use! 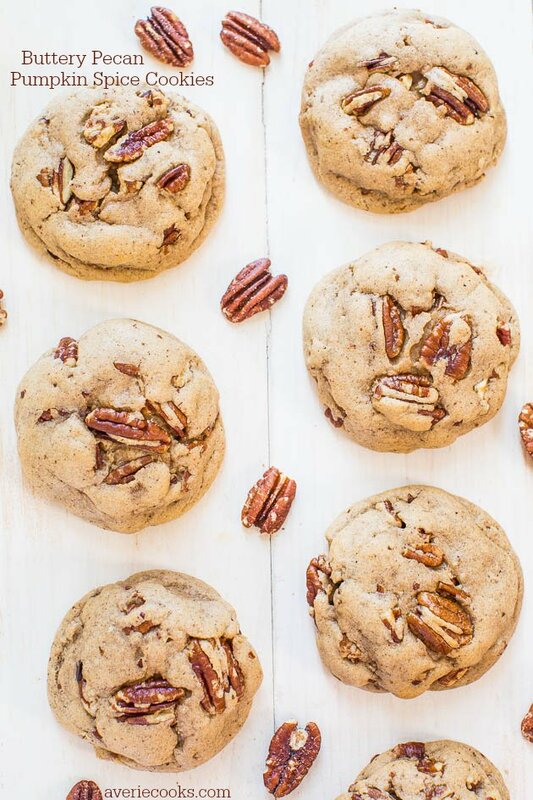 Buttery Pecan Pumpkin Spice Cookies – Buttery soft dough with big chunky pecans in every bite! Salty-and-sweet and so hard to resist! 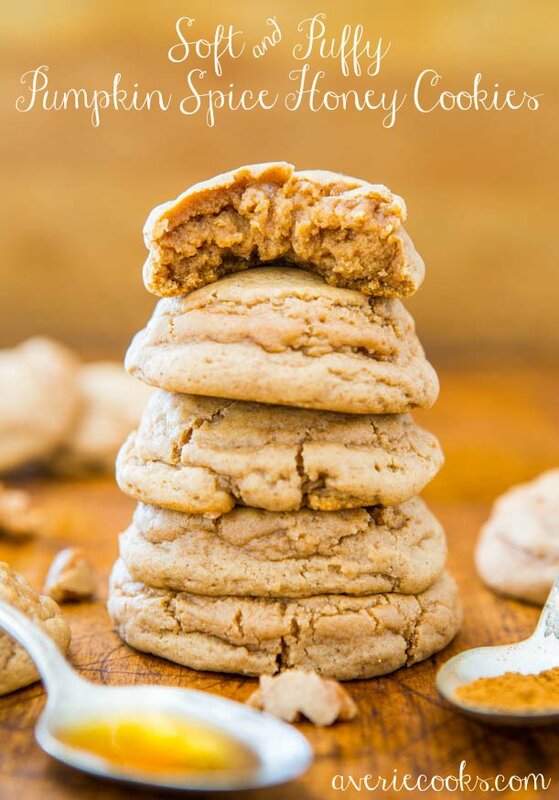 Soft and Puffy Pumpkin Spice Honey Cookies – Super soft cookies that just melt in your mouth! You’re going to love these puffy cuties! 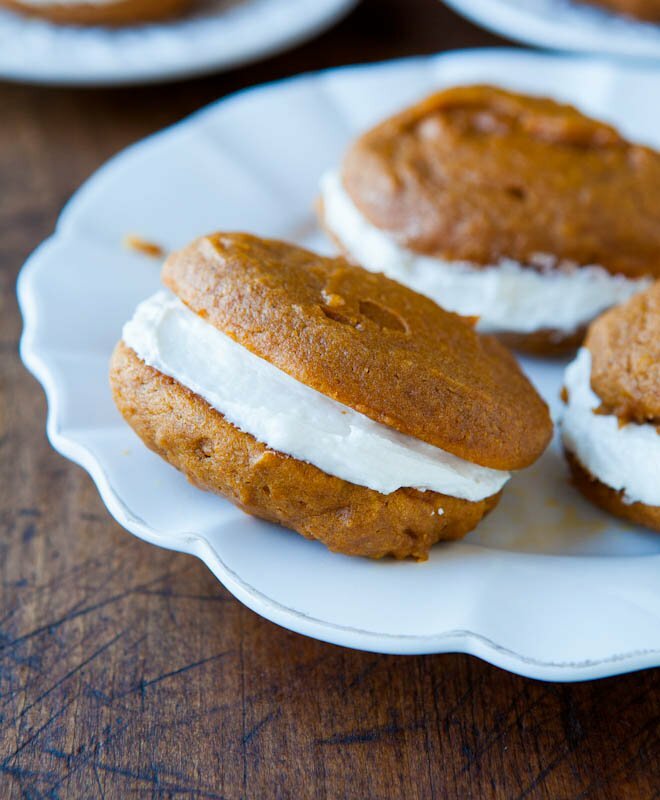 Pumpkin Whoopie Pies – Soft, tender cookies with a sweet buttercream filling! Easy and irresistible! Post is brought to you by Fisher Nuts. The recipe, images, video, text, and opinions expressed are my own. I love your graphics that pin! Do you make these yourself, or have a service that make them for you, after you photograph stuff? I love a crumble topping too and this looks delicious! I can’t believe Thanksgiving is almost here–this would be a great dessert (maybe with a scoop of ice cream on the side!?!). You can’t go wrong with a scoop of ice cream, ever! :) Can’t believe TG is almost here too! Oh my gosh! 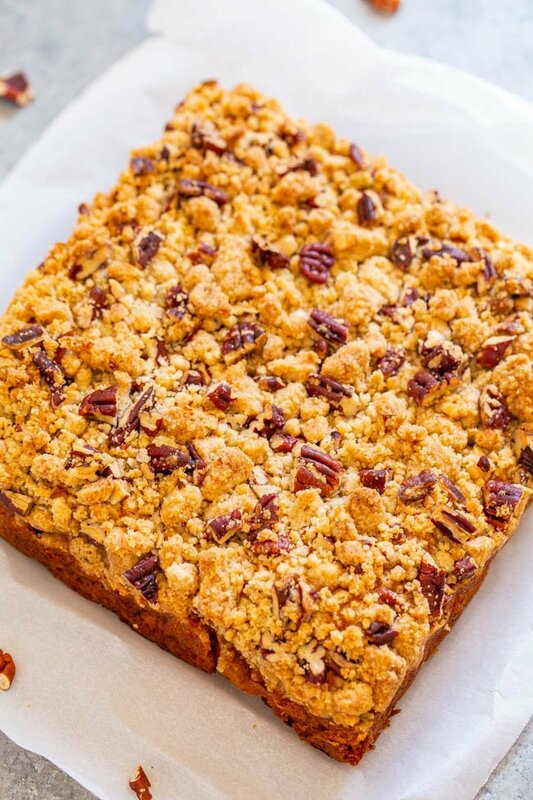 I made this coffee cake this morning for Thanksgiving, and it is so moist and has the right amount of crunch from that awesome crumb topping! 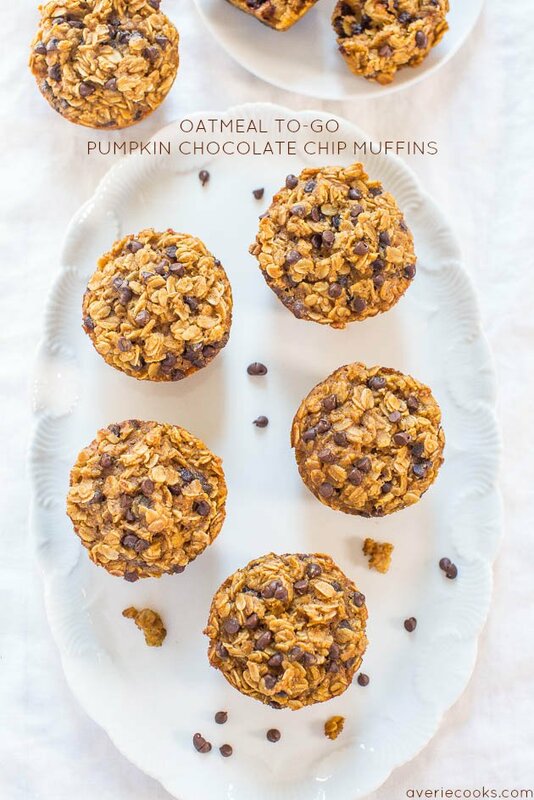 A total winner and so easy for a holiday morning! Thank you! Happy Thanksgiving! Thanks for the five star review and I’m glad this was a huge hit! I loved the crunch on top of this cake as well. This looks amazing!! I am so excited I will try this pumpkin crumb coffee.